With the holidays drawing nearer, banking promotions also abound and it’s up to you to decide which promotion fits your holiday needs the most. Right now, Flushing Savings Bank is giving away gifts such as iPads and TV’s, but if you want to have more choices, then a $400 gift card from Citibank should do the trick. Step Three: Complete one direct deposit and one electronic bill payment for two consecutive months within 45 days of account opening. There are two accounts that you can choose from. The Citigold Account can give you as much as 40,000 Thank You points redeemable for $400 in gift cards. the Citibank account can offer 20,000 Thank You points redeemable for $200 in gift cards. Some benefits from Citibank includes over 29,000 fee free ATMs nationwide, free online bills payment from Citibank online, free mobile banking with Citibank mobile and Citibank for iPad. And finally, no monthly fees for debit card usage. Qualifying bills payment include those using Citibank online, Citi Mobile, and Citiphone Banking. A bill paid making a transfer between payments and linked accounts within Citibank and Citibank affiliates does not qualify as a bill payment for this offer. Citibank opened its doors as far back as 1812 with already $2 million in capital. Today it stands as one of the nations largest and strongest banks. 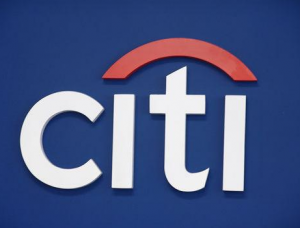 Citibank is one of the most stable banks in America, and it also offers great rates and rewards for its depositors. If you’re thinking about opening a checking account, Citibank’s Citigold account with rewards up to $400 may just be the account to open for the holidays.